"Chicago group empowering those to ‘Tri’ it"
6/1/2018: WGN Chicago reporter Erin Ivory featured Dare2tri. She interviewed our athletes and highlighted the positive impact Dare2tri has been making in the community. She also joined our Race2Raise team to raise money for Dare2tri. Check it out! “The Inspiring Story Of Jack O'Neil”: If you ever needed a little inspiration, check out the story of Zone3 Elite Triathlete, Jack O'Neil. 15-year old Jack is a full leg amputee, but he doesn't let that slow him down! We could not be more excited about supporting this amazing young man. 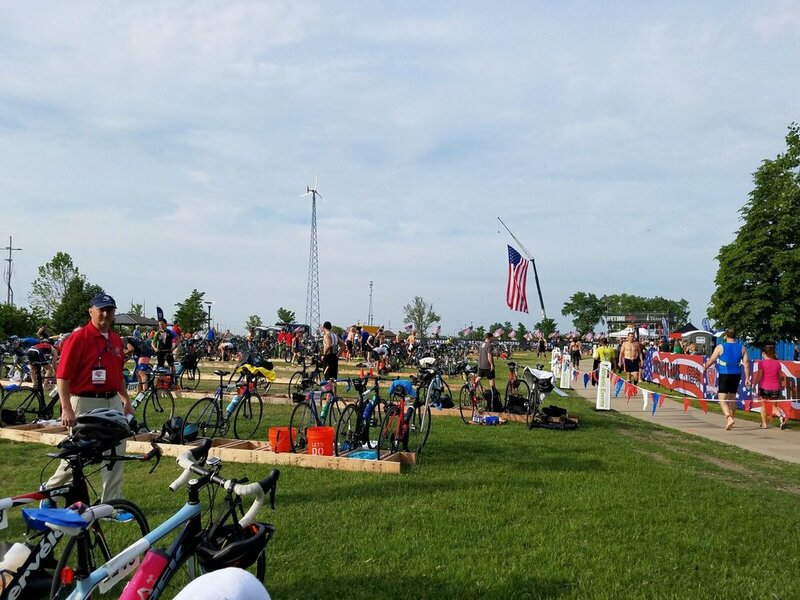 "Leon's Triathlon" in Chicago Athlete Magazine: On the heels of Dare2tri's Injured Military Camp, Leon's Triathlon 2017 hosted Dare2tri para-athletes alongside able-bodied athletes in yet another spectacular race event. "Q&A: U.S. Paralympic Qualifier Hailey Danisewicz": USA Triathlon caught up with Dare2tri's Hailey Danisewicz, the first U.S. triathlete ever to qualify for the Paralympic Games as paratriathlon makes its debut in Rio de Janeiro this September. "New mom and Iraq veteran Melissa Stockwell aims for paratriathlon world title": Melissa Stockwell was featured on U.S. Paralympics in her Worlds and Road to Rio prep. 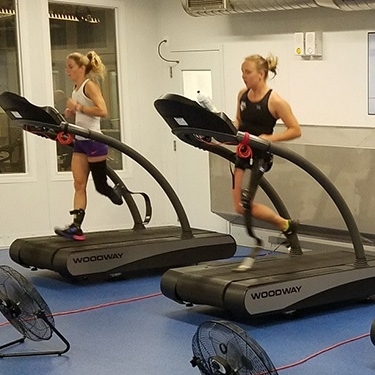 "Team USA women sweep at Paratriathlon World Championships": Hailey Danisewicz and Melissa Stockwell finished second and third, respectively, at the World Championships on September 18, as highlighted by USA Triathlon. "Downers Grove North grad nominated for ESPY": Kendall Gretsch's 2015 Best Female Athlete With A Disability was highlighted by the Chicago Tribune. 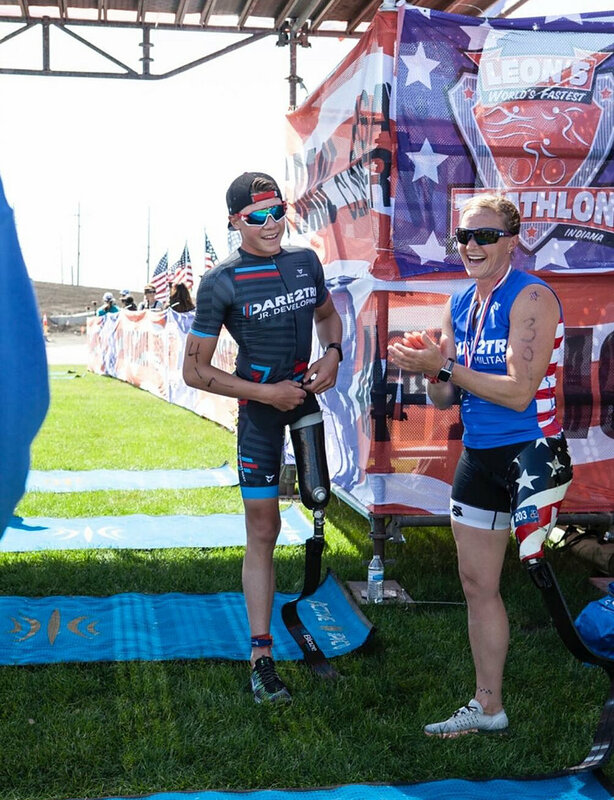 "Paratriathlon club helps disabled athletes enrich their lives": Wisconsin-native athletes Hailey, Kenji, and Gabi share their experience with Dare2tri as told at Paratriathlon Training Camp. "Disabled vet Kenji Kakugawa finds purpose with paratriathlons": Kenji Kakugawa shares his personal story, struggles, and impact Dare2tri has made on his life in a Chicago Tribune article. "Paratriathlete Hailey Danz Has New Home And Team In Colorado Springs": Hailey Danz is already a Paralympic silver medalist in paratriathlon, having finished second at the Paralympic Games Rio 2016 in the sport’s debut, but two years on and she’s making new moves to push herself one step higher. 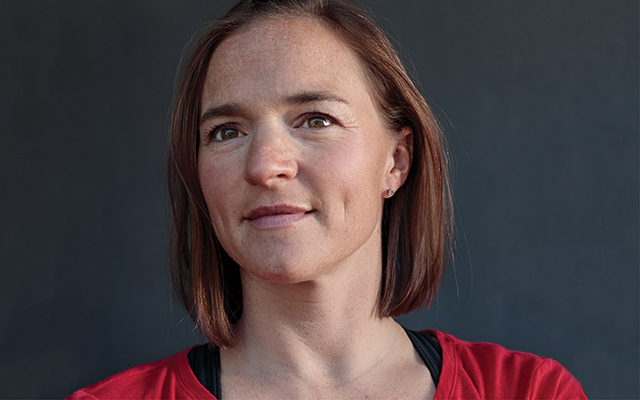 "Always Forward: Melissa Stockwell": Army veteran and two-time Paralympian Melissa Stockwell is on a mission to help people see the power of a positive mindset in overcoming adversity. "High School Nationals Competitors Jack O’Neil and Owen Cravens": Dare2tri Junior Development Team athletes, Jack O’Neil and Owen Cravens, are the first athletes to represent paratriathlon at the USA Triathlon High School National Championships in Tuscaloosa, AL. 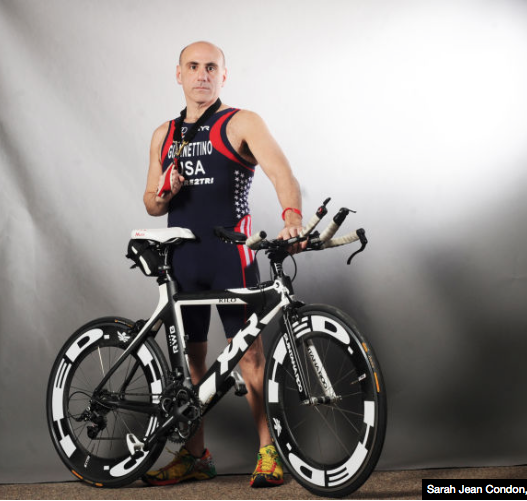 "Dare To Try: Auburn Native Overcomes Disability to Represent Team USA on International Stage": Tom Giannettino, Elite Team athlete, raced for Team USA in South Africa on March 1 for Buffalo City ITU World Paratriathlon race. "After Canceled Olympic Competition, Parathlete Shifts Focus to Ironman" : ABC 7 highlights Mary Kate Callahan, Elite Team athlete, and her future athletic ambitions. "Grassroots Paratriathlon" : USA Triathlon introduces its Grassroots Paratriathlon video, where several Dare2tri athletes are featured. "Dare2tri Helps Athletes Overcome Disabilities": Make It Better Foundation highlights Dare2tri and Chicago Children's Museum's Adaptive Sports Play For All event on February 14, 2015. "Local Leaders Dare2tri Sets Standard for Paratriathlon Clubs" : Chicago Athlete Magazine featured Dare2tri in center-fold story in the August edition.